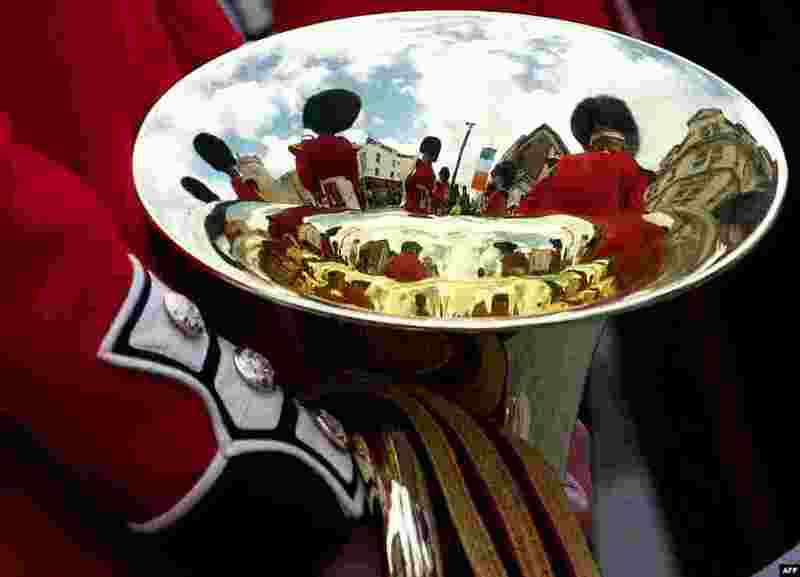 ۱ Members of the Band of the Irish Guards are reflected in an brass instrument during the Welcome Ceremony of the Irish President Michael D. Higgins in the town of Windsor, west of London. 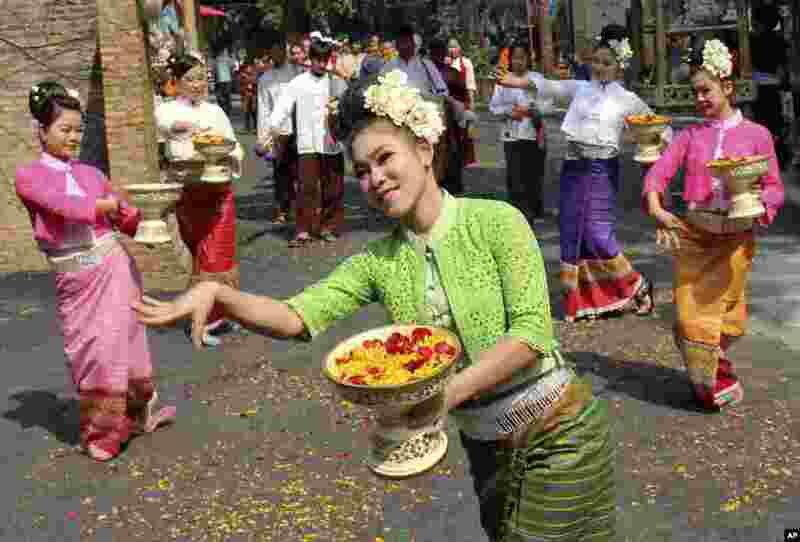 ۲ Dancers perform a traditional dance during the opening ceremony of ancient Thai New Year or Songkran festival celebrations in Chiang Mai province, northern Thailand. The festival starts on April 13, 2014. 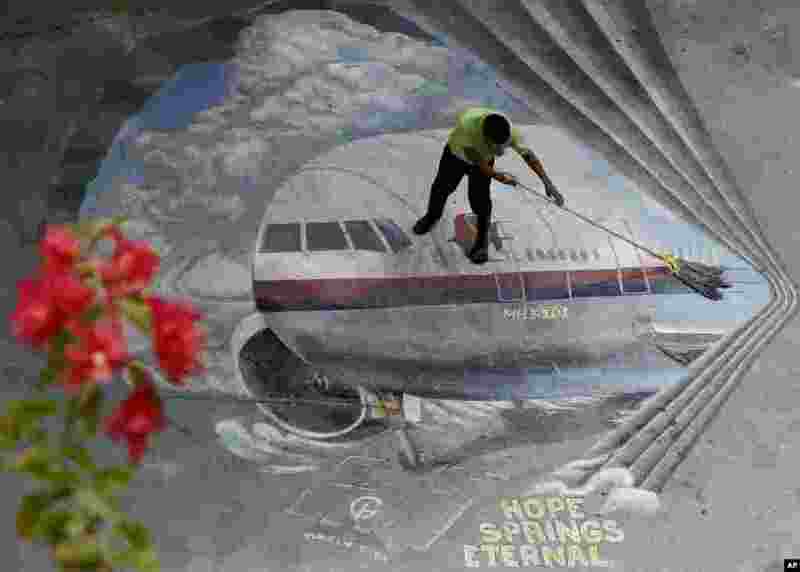 ۳ A school utility worker mops a mural depicting the missing Malaysia Airlines Flight 370 at the Benigno "Ninoy" Aquino High School campus at Makati city east of Manila, Philippines. 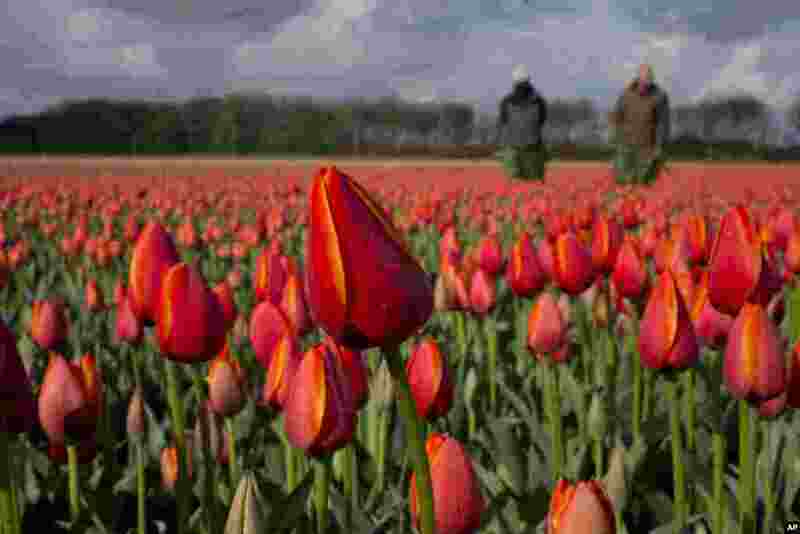 ۴ Tulip farmers look for weeds in a field of tulips near the city of Noordwijkerhout, western Netherlands. 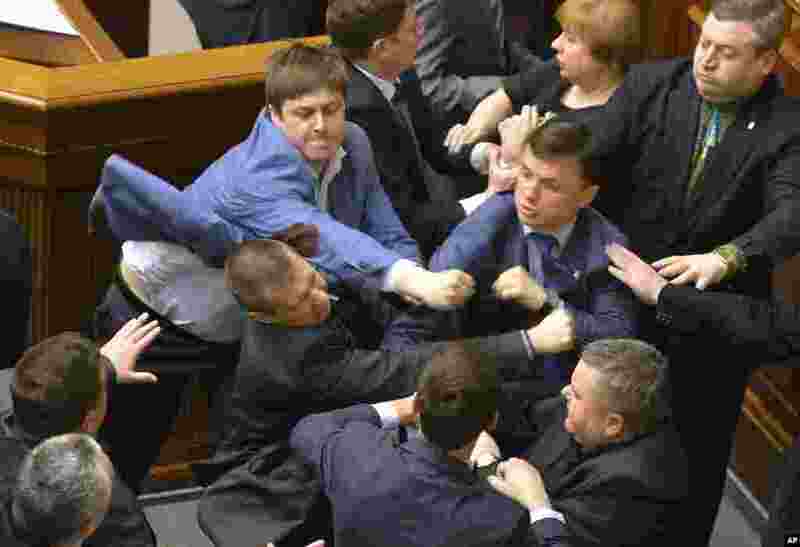 ۵ Communist lawmakers scuffle with right-wing Svoboda (Freedom) Party lawmakers during a parliament session of Verkhovna Rada, the Ukrainian parliament in Kyiv. ۶ An Indian artist dressed as Hindu goddess Kali participates in a procession to celebrate the Ram Navami festival - the birth anniversary of Lord Rama - in Allahabad. 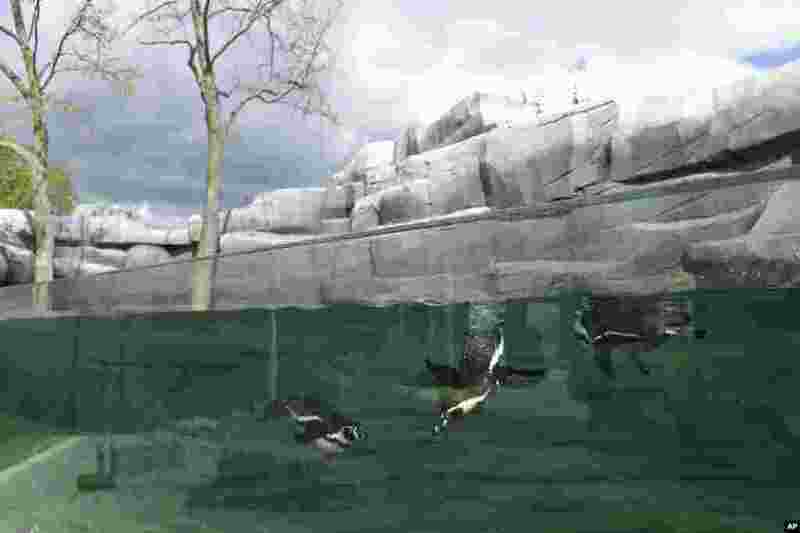 ۷ Humboldt penguins swim in a pool at the Vincennes Zoo in Paris, France. 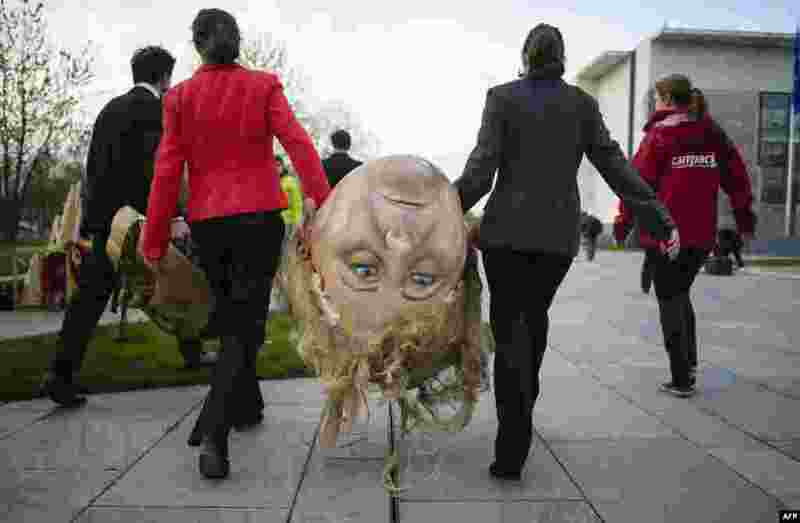 ۸ Activists of BUND and Campact ecological associations carry a giant head featuring German Chancellor Angela Merkel before a demonstration against the reform of the Renewable Energy Sources Act (EEG) in front of the Chancellery in Berlin.